If you like to watch television every day, and many of us do, it’s very likely you’ve seen a television commercial about Hepatitis C. The reason for this onslaught of commercials about Hepatitis C is because several companies have found a treatment that will cure up to 99% of individuals who have been infected. That’s right, cured. Sadly the cost of the treatment is close to $100,000 and for this reason, television commercials are absolutely necessary (even though they never mention the price). 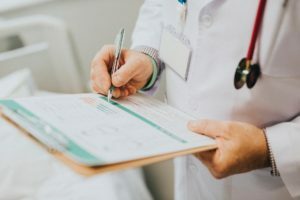 In this article, we will discuss getting life insurance with Hepatitis C.
Hepatitis C is a challenging disorder that is triggered by a virus that infects the liver. Through time, this disorder can lead to dangerous conditions such as cirrhosis, liver cancer, and liver failure. Most men and women who are afflicted with the virus are not aware until finally they already have liver damage. This particular damage can take quite a few years to show itself, and during the course of that time, there are usually few symptoms if any. While some men and women who contract the illness and experience it for only a brief time ( acute hepatitis c) and then get a lot better, most men and women that are infected with the virus go on to develop long-term, or chronic, hepatitis C. Despite the fact that the disease is thought to be to be very serious, a lot of people can manage it and lead full and active lives. In fact, just recently several drugs have been released that can cure the disease within about six to eight weeks. Although most people infected with Hepatitis C have no noticeable symptoms when first infected, over time there is damage to the liver that presents several symptoms that must be managed as the disease progresses. With Mild or No Symptoms, How will I know I have Hepatitis C? More and more people infected with Hepatitis C discover it accidentally, usually after getting a blood test for life insurance purposes, blood donation tests, or as a result of a routine checkup. If your blood test discloses the probability of being infected, your doctor will normally order a specific test to determine you have been infected. Once verified, the doctor is probably going to order a liver biopsy, MRI, CT scan, or ultrasound to discover your liver’s health and to make certain you do not have liver cancer. Your options for getting life insurance with Hepatitis C will be based on the test results. Will Hepatitis C Impact my Insurance Rates? How the disease impacts your life insurance rates will depend on the important information you provide during the underwriting process. The insurance underwriter is going to want the stage of your disease and liver damage, if any, that has been done to your liver. If you had acute Hepatitis C that has since been healed, your insurance rates will have minimal to no impact. If, however, you have chronic Hepatitis C, it will become a completely different situation, but try not to worry, you can get life insurance with Hepatitis C.
There are many independent insurance agents like The Lunsford Agency in Chillicothe, Ohio who represent multiple insurance companies that do not require a medical exam. These companies are typically more liberal with their underwriting guidelines and will offer coverage even if you have Hepatitis C. Although a medical exam is not required, you will still have to answer the medical questions on the application. If you have other major health issues as well as Hepatitis C, you can expect to be rated up substantially or even declined. But What If I’m Declined? There is good news for you even if your application is declined by the insurer. If you use an independent agent like The Lunsford Agency in Chillicothe, Ohio, your agent will offer you a guaranteed issue whole life insurance policy. This type of policy is issued without regard to your medical background, if fact, there are no medical questions on the application. Your policy will have a waiting period of two or three years before you will be covered for death from natural causes, however, death from accidental causes is covered from the first day. If you die during the waiting period, your beneficiary will receive only the amount of money you’ve paid into the policy plus a small additional percentage of that amount. The limit on your death benefit is typically reduced to $25,000 or $30,000 depending on your age. For more information about getting life insurance with Hepatitis C or to get a free and confidential quote, call The Lunsford Agency at (740) 779-0246 during normal business hours, or contact our Chillicothe Oho office through our website at your convenience. Copyright 2019. The Lunsford Agency. All Rights Reserved. Website by: Paint Street Productions.